On a remote mountaintop, 2600 metres above sea level in the Chilean Atacama Desert, lies the world’s most advanced visible-light observatory. 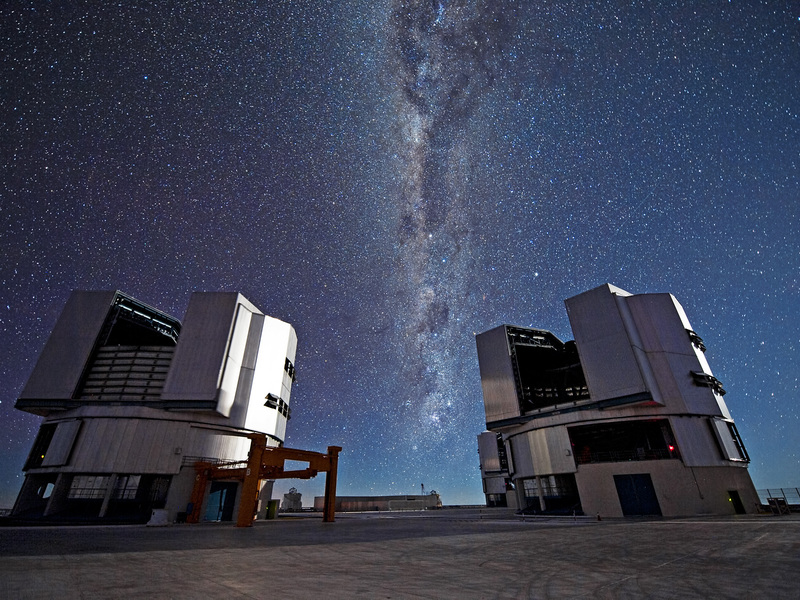 The European Southern Observatory’s Very Large Telescope (VLT) is not only a window on the Universe; it is also a celebration of modern science and technology. 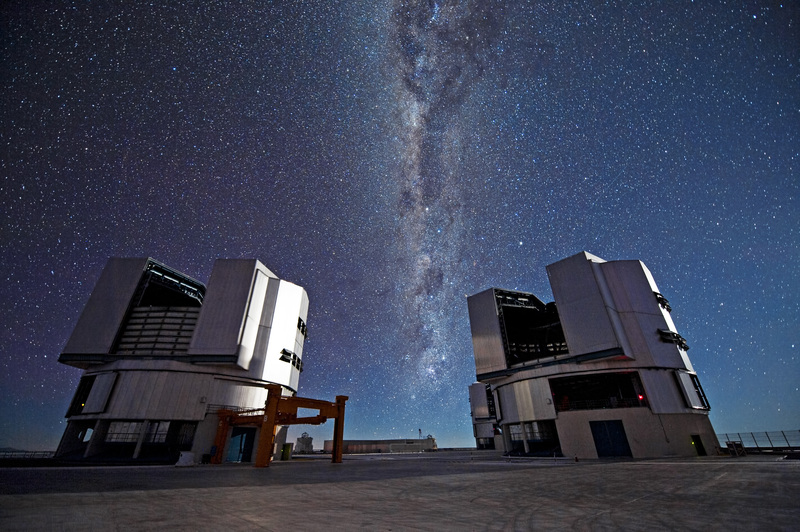 This photograph shows two of the four Unit Telescopes that make up the VLT. 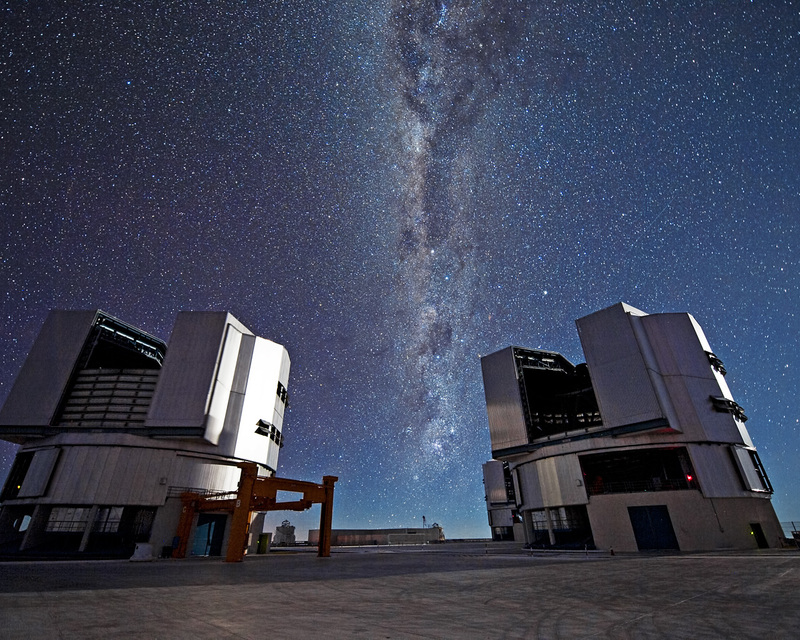 With its giant 8.2-metre diameter mirrors, sensitive detectors, and state-of-the art adaptive optics system, the VLT uses cutting-edge technology at every opportunity. Even the telescope enclosures — the domes — are highly advanced, being thermally controlled to reduce air turbulence in the telescope structure. Every night the VLT studies the sky to make discoveries about the Universe. 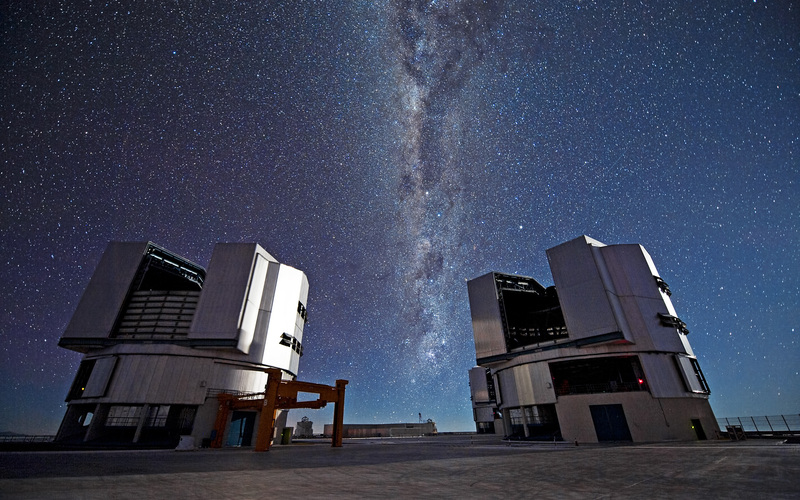 Visible in this photo, sweeping between the two Unit Telescopes, is the plane of the Milky Way. Containing billions of stars, it is our own corner of the cosmos, but the VLT's vision can peer much deeper than this, our home galaxy, and look out to the extremes of space, all in the name of science and discovery.